Don’t be a slave to life: automate everything. We’ll show you how to convert your ordinary home into a home of the future. Here are some of the coolest (and most important) ways that connected technology is revolutionizing the medical world. Google has big plans for its smart home products. Here’s what we know so far about the Google Home Mini, Google Home Max, and Google Clips. Want to try out a new smart gadget without breaking the bank? These 15 devices are all less than $50 but can make a big difference in your life! Are you closing up your cottage for the winter, or prepping a vacation home for short-term rentals? Install these eight smart gadgets and never worry about your property again! Apple TV isn’t just for entertainment. Using these great apps, it can also act as a powerful hub for your smart home! Just purchased a new Google Home? Here’s a step-by-step guide for everything you need to know to get it set up and working perfectly! Sure, Smart Home devices make our lives easier. But they also turn every detail of our lives into data. How much invasion of privacy is too much? It’s hard to say. Not sure what kind of smart home your dream home should be? Turn to these great online resources (including YouTube channels, podcasts, and blogs) for inspiration, tips, and advice at every step! Some smart home hubs get all the press, so you might not be aware of these lesser-known gems! One of these lesser-known smart home hubs might just be the perfect fit for you! Frustrated by devices that take hours of your life to install? Try one of these connected smart home gadgets instead — it’ll only take you 10 minutes max to get them up and running. To ensure your smart home devices communicate well with each other, it’s important to know what wireless language they speak! Here’s everything you need to know about Zigbee and Z-wave. Having your own home surveillance system can be a powerful deterrent to would-be intruders, snooping roommates, or frustrating co-workers. Here are 6 great options for webcam-based surveillance products you can use today! Smart Plugs are a small investment that can make a big difference in your everyday life. Take a look at these easy and effective ways you could use them in your house today! Amazon is introducing multi-room music streaming. This is great news for those who host raucous house parties, but bad news for your neighbors. Smart TVs are everywhere now. We round up the best Smart TV projects that you can make with nothing more than a Raspberry Pi. Just purchased a new Samsung SmartThings system? Here’s a step-by-step guide for everything you need to know to get it working perfectly in your home. Just like there’s no one-size-fits-all approach to fitness, there shouldn’t be a single solution for fitness tracking! These unique fitness trackers might be a better choice for you! The quality of sleep you get each night directly impacts your mood, health, and productivity the next day. Get better sleep than ever before using one of these smart gadgets! 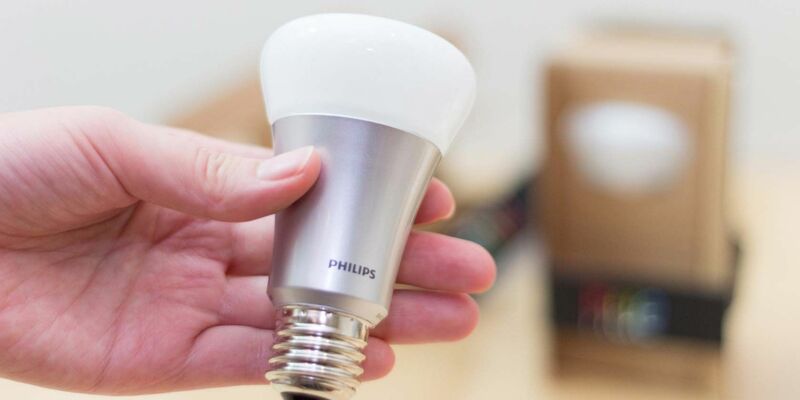 There are a lot of smart home lighting solutions on the market, and it can be overwhelming! Here are the main differences between smart lighting standards, and some key considerations when making a purchase. Google Home users in the U.S. and Canada can now make free voice calls using Google’s brilliant little smart speaker. And it’s both free and hands-free. Alexa recently got a huge update that might have you playing a lot more music on your Amazon Echo. Making your back to school shopping list? Don’t forget to add these gadgets — they’re key for helping you make your dorm room fun, secure, and a little bit futuristic!